House hunting is not all it's cracked up to be....Jonathan & I are SO over it! We have seriously looked at hundreds of houses....& haven't found "THE ONE" we want to make our home. We both admit we are super picky, but this is something you should be picky about it, right? No, we don't plan on making this our 'forever' home, but we still know what we want & don't intend to settle. I think Jonathan is just frustrated and feeling the pressure from the time crunch. Me on the other hand, well, I'm super decisive. I don't like to "shop around" for anything. I despise doing that actually, & it's driving me crazy. 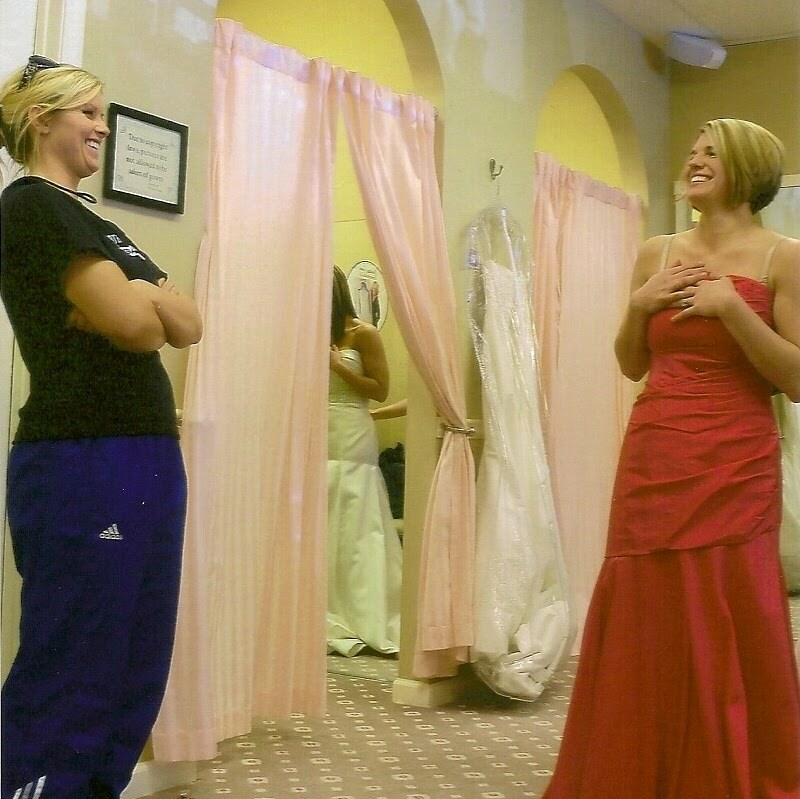 Even when it comes to big things like my car & my wedding dress, I just KNEW. I didn't enjoy any of the shopping around business. So, on to the more FUN shopping stuff...bridesmaid/junior bridesmaid/flower girl dresses! 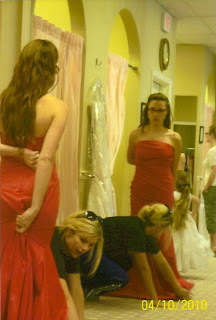 On Saturday I met my wonderful mom, lovely sisters (missed you Ragan), my adorable little nieces, & four of my goregous bridesmaids to look for dresses. Of course I missed my girls that weren't there, but everybody is so busy & spread out. I'm lookng forward to seeing them try theirs on too. 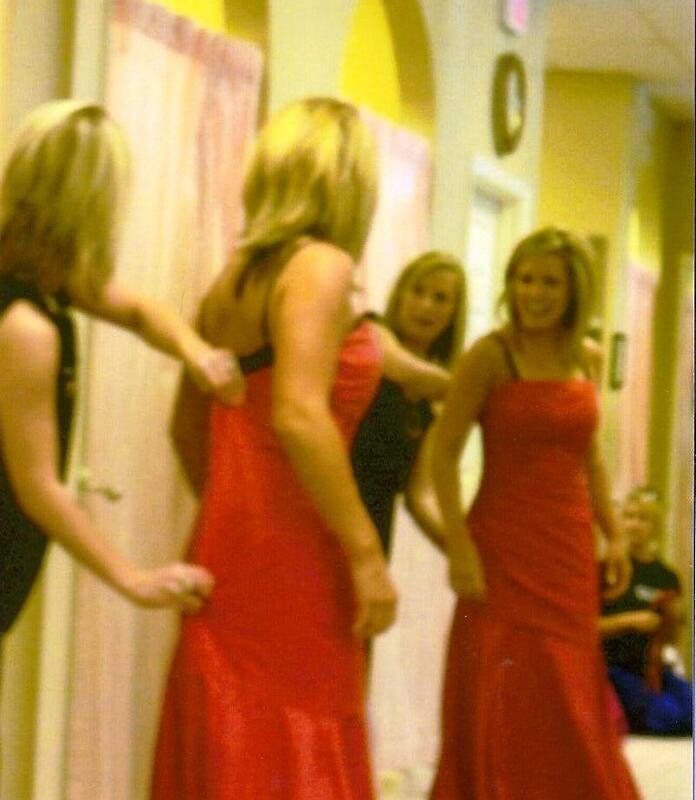 The bridesmaids all looked SO smokin hot in the dress!! I ended up going with the one from the picture I posted earlier (the long one on the left- but in fuschia). They happened to have it in the color we're using, so we really got a good feel for how it's going to look! OMG. They all have such great figures, & the dress is really flattering. I'm actually a little jealous...I want one too! Ha! (But I do for real!) Here's a few pics....didn't get one of Laura, but she looked GREAT in it! I don't know WHY I didn't think to take more pics....but they don't do it justice anyway! 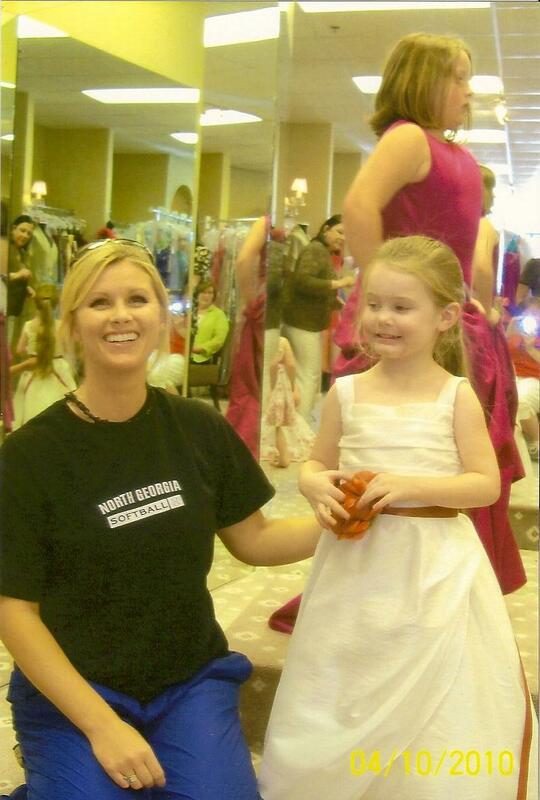 The little girls were so so precious! You could tell they thought they were princesses...totally hamming it up, posing, staring at themselves in the mirror. It was darling! I can't WAIT to see how they are on the day of the wedding because they were such a hoot trying on dresses! 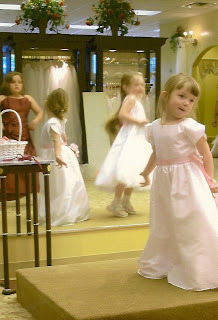 Chloe pretending like she's a little angel...Carsyn doing ballet twirls, & Morgen checkin herself out in the background in a dress that's WAY too old for her! Morgen checkin herself out again while Carsyn says "CHEESE!" Love, love, love all my girls! Missed you too! I saw all the pictures and I LOVE the bridesmaid dress and they do look hot! 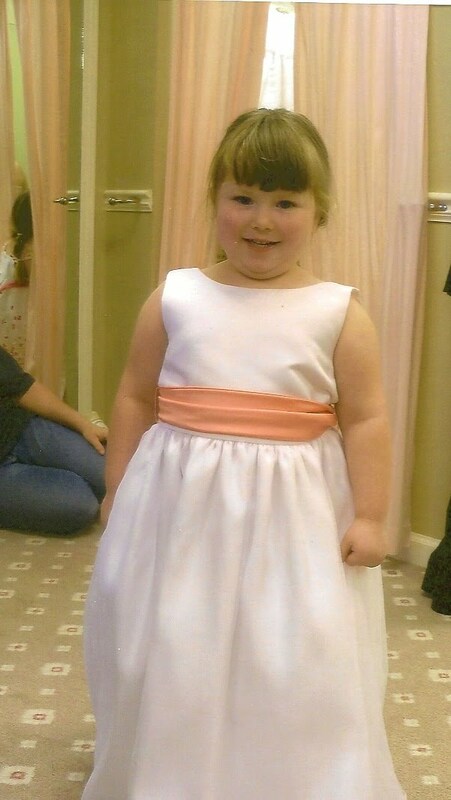 I am going on the next dress shopping trip NO MATTER WHAT! I love you too!!! I am so glad you have GREAT taste in fashion!! I love pink and taffeta - we are all going to look smokin'! Love you L^2! hate that i couldn't be there...they look great though! can't wait to see it in person!! !